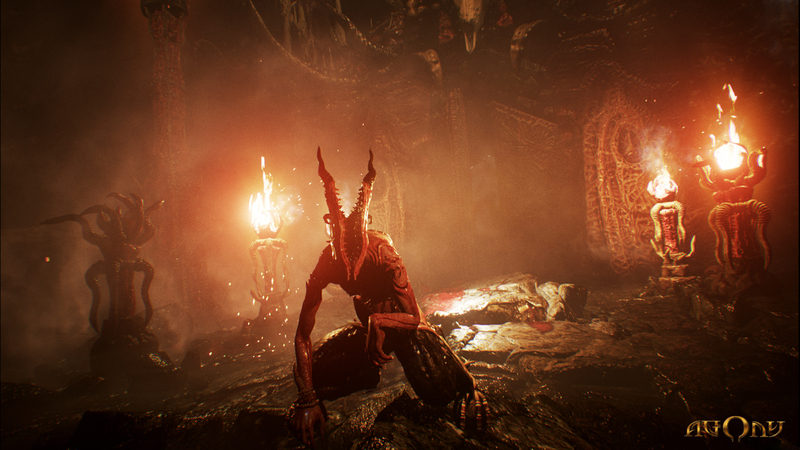 Polish studio Madmind has released a new gameplay for Agony, the first-person horror game set in Hell. The video is 8 minutes in length, each one filled with disturbing, gross and grotesque imagery. There’s one area where the walls have teeth, and they seem to be able to use them. The video shows mostly exploration, and it clearly intends to sell the player on the game’s atmosphere. It does a great job at that, by the way. We also get to see one monster up close – a moment which can cause distressing flashbacks in all you Amnesia: The Dark Descent survivors. However, even though the video is focused on exploration, it does make me believe Agony is rather narrative-driven, as the character seem to be walking towards a scripted event towards to end. We’ll all go to Hell next year, when Agony is released on PC, PlayStation 4 and Xbox One.